Sync and charge your Apple devices simultaneously with the Ematic 6-Foot Charge/Sync Cable. 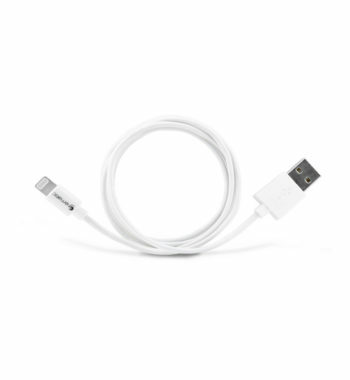 Built both pliable and durable, the protective sheathing ensures that this cable will be powering your compatible devices for a long time to come. 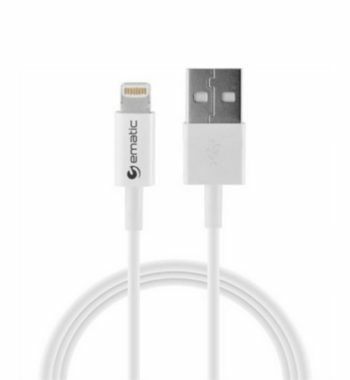 Ematic’s 6-foot, MFI-certified cable brings you fast-charging as well as high-speed data transference. Built with narrow ends so it has no problems fitting snug inside a wide variety of protective cases. Stretch across the room with ease due to the length of this cable, allowing you to charge and use your device comfortably, whether you are in bed or on the couch. Compatible with iPhones, iPads, and iPods.